Old Babylonian (2000-1500 BCE), the classical form of Akkadian, has a uniform grammar written in clear and simple signs. It frames the grammatical and literary foundation of the Epic of Gilgamesh and subsequent Akkadian literature. In Akkadian 1, students will achieve a beginning level of skill in the language. Courses begin in November 2016. Huehnergard, John. A Grammar of Akkadian, third edition. Harvard Semitic Studies 45. Published by Eisenbrauns, 2011. -----. Key to A Grammar of Akkadian, third edition. HSS 46. Eisenbrauns, 2013. Student must purchase required textbooks separately from Amazon or the publisher Eisenbrauns. Parpola, Simo. The Standard Babylonian Epic of Gilgamesh. State Archives of Assyrian Cuneiform Texts, vol. 1. Cuneiform Text, Transliteration, Glossary, Indices, and Sign List. Published by The Neo-Assyrian Text Corpus Project, University of Helsinki, 1997. The thirty-week course covers the first twelve lessons of A Grammar of Akkadian, including phonetics, syllabification principles, and basic grammatical structures, as well as the first thirty lines of the Epic of Gilgamesh. Completion of Akkadian 1 will prepare the student to take the next course, Akkadian 2. The thirty-week course costs $1,250 USD, not including the cost of text books. If after two class sessions you wish to drop the course, we will refund you $1,050. Student must purchase required textbooks separately from Amazon or the publisher Brill. Summary Of the Course. Old Babylonian (2000-1500 BCE), the classical form of Akkadian, has a uniform grammar written in clear and simple signs. It frames the grammatical and literary foundation of the Epic of Gilgamesh and subsequent Akkadian literature. Optional textbooks: Parpola, Simo. 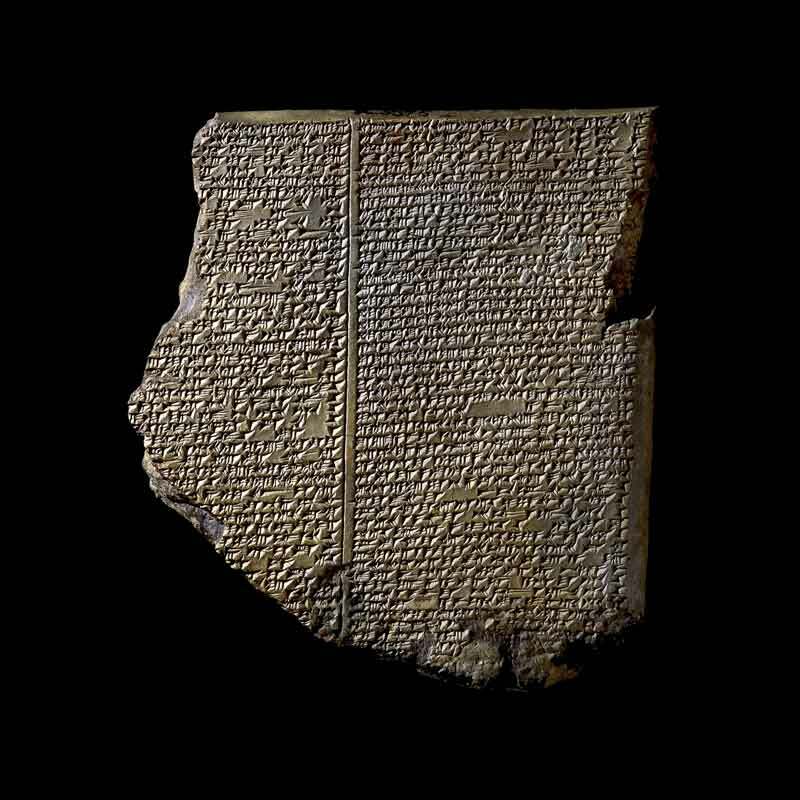 The Standard Babylonian Epic of Gilgamesh. State Archives of Assyrian Cuneiform Texts, vol. 1. Cuneiform Text, Transliteration, Glossary, Indices, and Sign List. Published by The Neo-Assyrian Text Corpus Project, University of Helsinki, 1997. Details: The thirty-week course covers the first twelve lessons of A Grammar of Akkadian, including phonetics, syllabification principles, and basic grammatical structures, as well as the first thirty lines of the Epic of Gilgamesh. Completion of Akkadian 1 will prepare the student to take the next course, Akkadian 2. The thirty-week course costs $2,500 USD, not including the cost of text books. If after two class sessions you wish to drop the course, we will refund you $2,300. Course covers chapters 14 through 26 of A Grammar of Akkadian and lines 31 to 60 in the Epic of Gilgamesh. Course takes place one hour per week over thirty weeks. Course covers chapters 14 through 26 of A Grammar of Akkadian and lines 31 to 60 in the Epic of Gilgamesh. Classes take place one hour per week over thirty weeks.